OUR STORY We have taken an old dilapidated 1930s Public House and have refurbished it to a high standard, this venue was for many years one of the East Ends best-known music venues. We are aiming to offer the whole package - great food, beautiful setting, warm service and genuine hospitality. 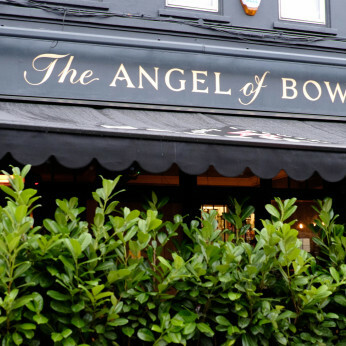 The Angel of Bow is a privately owned public house with a pretty beer terrace, wood burning stove, daily changing menu, exciting craft beers: we specialize in east London Breweries. Plus a great wine list and the world of whisky: whiskies from all around the world.